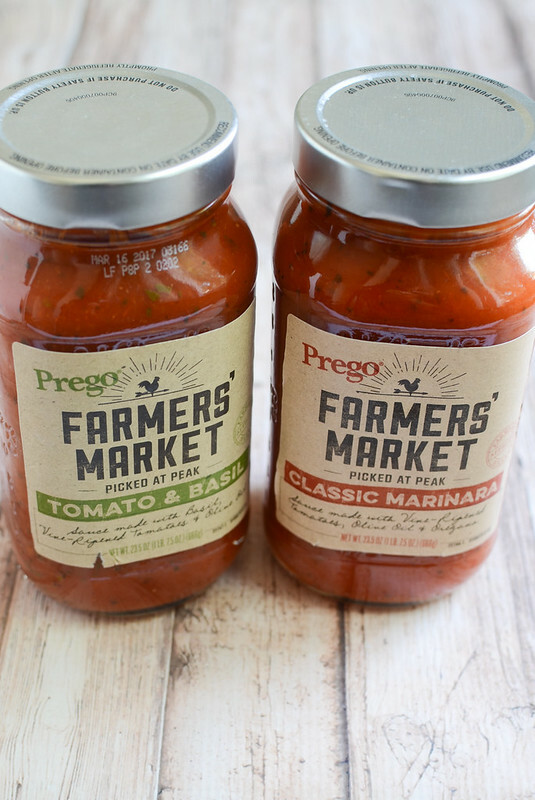 Have you seen the new Prego® Farmers’ Market pasta sauces yet? I was browsing Walmart for new products the other day (one of my favorite hobbies) and the packaging sucked me right in. How cute are those jars?! And the labels?! 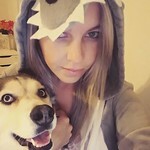 I can’t get over them! The idea behind these sauces is that they are made with ingredients you would find at your local farmers’ market. Vine-ripened tomatoes, basil, and garlic – all picked at the peak of freshness! And then the sauce is made just the way you would make a homemade sauce: with olive oil, black pepper, and oregano! 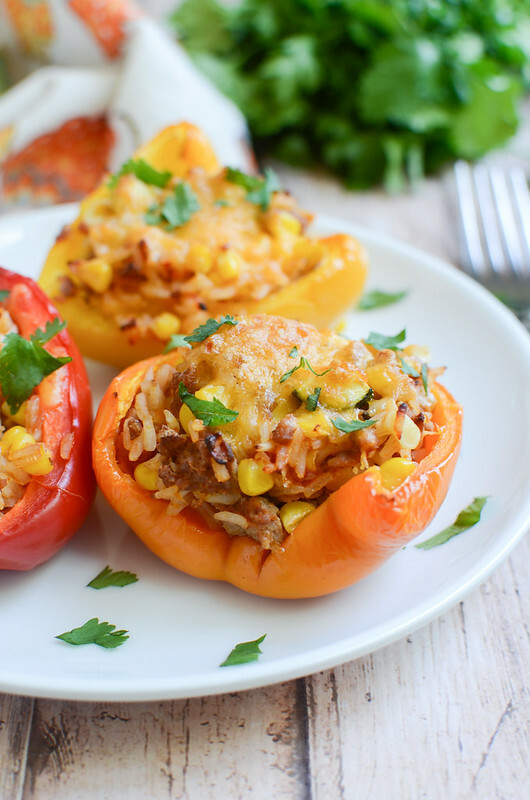 They bring seriously delicious flavor from simple, farm fresh ingredients. 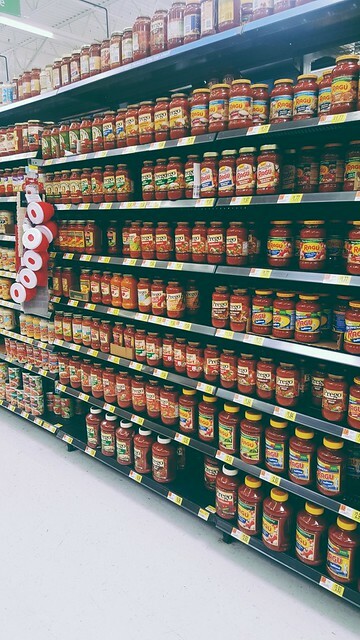 Perfect for your favorite Italian recipes! 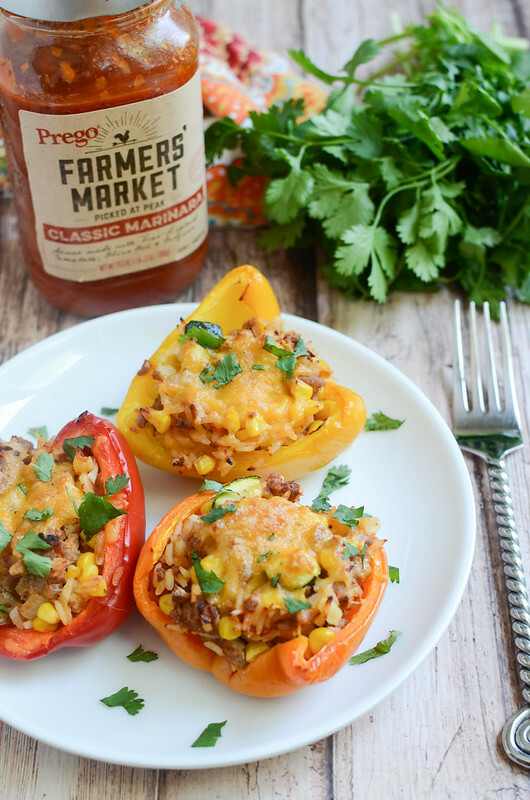 I used the Classic Marinara in these Grilled Stuffed Peppers. This is my idea of a perfect summer meal. 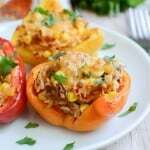 I stuffed the peppers with a mixture of ground turkey, rice, fresh corn, and zucchini. And then I mixed in the Classic Marinara. The mixture was so delicious that I stood over the oven eating the leftovers that wouldn’t fit in the peppers. So good. So they’re really quickly grilled, just until the peppers are tender. Then you top them with cheddar cheese and give them another minute or 2 for the cheese to get melty and delicious. Sprinkle with cilantro if you want and dinner is done! Easy, easy, easy! And filled with things that are good for you! Heat olive oil in a large skillet over medium heat. Add turkey, onion, and zucchini and cook until turkey is cooked through and onion is translucent, stirring frequently to break up meat. Add corn and garlic and cook another minute. Stir in rice, Prego® Farmers' Market Classic Marinara, and chicken broth. Bring to a low simmer and let cook 3 - 4 minutes, until most of the liquid has been absorbed. Season with salt and pepper to taste. 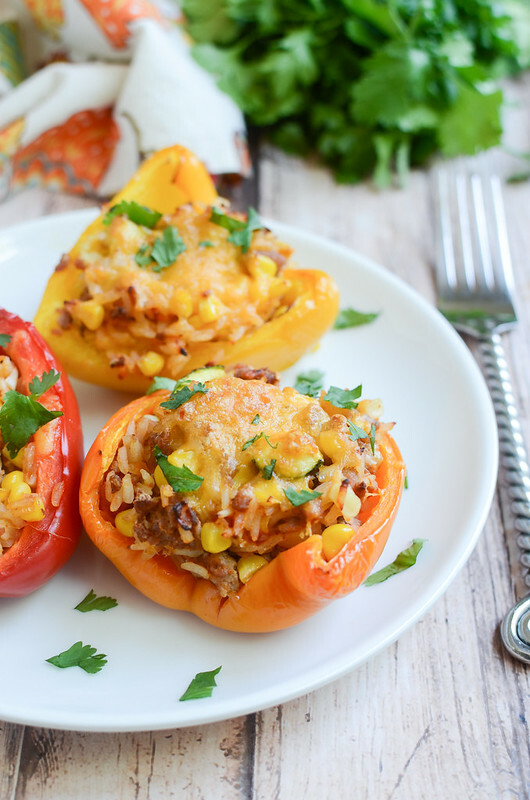 Spoon them mixture into the halved bell peppers. Grill for about 10 minutes over indirect heat, until the peppers are tender. Sprinkle with cheese and continue grilling just until cheese is melted.